If you’ve ever dreamt of dining at London’s infamous sky-high restaurant, SUSHISAMBA, then today might just be your day as the beautiful glass box in the sky, recently announced it’s new special set menu at a very favourable price. Samba set is a brand-new menu is perfect for those looking to dine early or wow on business lunches, with a daytime offering set to the backdrop of beautiful city views. 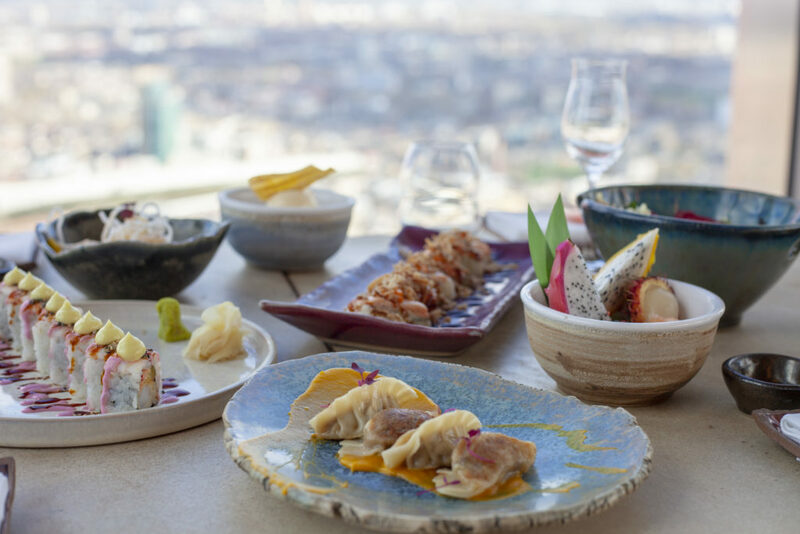 The set includes SUSHISAMBA favourites including El Topo, Wagyu Gyoza, Tiger Maki and Seasonal Vegetable Tempura. Available during the day (11:30am – 5:00pm) mid-week (Monday – Friday), the set costs just £36. A bargain for SUSHISAMBA!